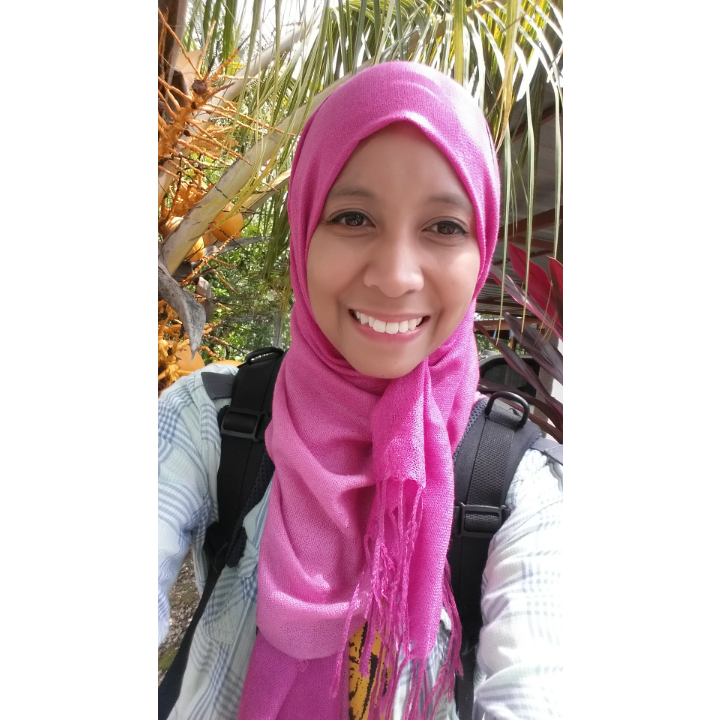 And so, last weekend my best friend, Tita and I decided to go to Merapoh to save the tigers. 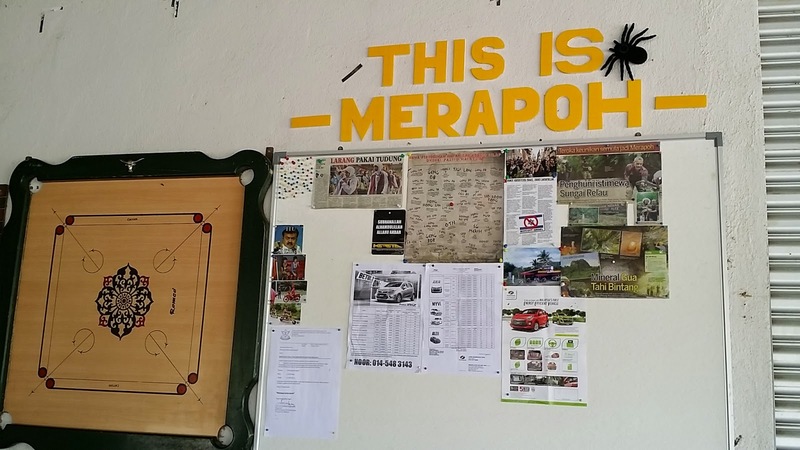 Merapoh is in Pahang, by the way... In case you're like me; I really thought it's in Kelantan because it's near Gua Musang. Hopefully none of my lecturers are reading this... Such a shame for a tourism student! We joined a volunteering programme held by MYCAT (Malaysian Conservation Alliance for Tigers). MYCAT is an NGO in Malaysia aiming to save tigers from poaching and extinction. They have various programmes but the one we joined was their CAT Walk. CAT is a cool abbreviation for Citizen Action for Tigers in which WE as normal people can actually help save the tigers! Oh yes. From Kajang to Putrajaya to Putra to Gombak, finally the bus was full. And yeah you guessed it right; kecek Kelate all the way! Tupe bah... Pecoh.. Cabe... Caghi bah dulu... Depe... (Tumpang bas, pecah, cabang/ simpang, cari bas dulu, depan). And Tita noticed me gawping in awe or amazement or whatever at their dialect that she poked me. It was so obvious I was staring at them talking! My fiancè is a Kelantanese. He did taught me a word or two but still... The amount of Kelantan-ness in one bus was just so much! And such a mouthfull! We had to change buses at the Putra Station so that time, we REALLY have to communicate with them. That was when I learn 'Bah' or bus. We also had to explain where we want to be dropped off because our inn was before the bus station. Such a hard time explaining! They talked so fast and I couldn't get what they are saying... I remembered one restaurant 'Restoran Nge Teh' and one lady knows the place. She immediately offered to inform the driver for us. Alhamdulillah... I was so thankfull! And immediately remembered the one trait of most Kelantanese I met. They are always willing to help and they are also very friendly. Friendly, yes. Oh. By the way we didn't get to sit at the upper floor because the driver was afraid he might forget about us and go straight to Gua Musang aka Guo Muse. So we sat at the very back row with another two ladies and heard the other bus driver grumbling "Ado oghe tino duk belake ni..." because it was a hassle for him when passengers changes the seating. But I couldn't start a conversation with the two ladies in the same row with Tita and I because I was shy... Besides, Tita was between us and she was sleeping, and when she was awake she showed no intention to start a conversation so I just kept silent and enjoyed the view. The lady who offered to inform the driver was fast asleep... I couldn't see her head from the back. Honestly, I'm not a selfie freak. But I took A LOT of selfies during this trip. This one was at Jalan Ah Peng in Bentong. And who knows, entah-entah the guy behind there is Ah Peng. Hahah! Bangun tidur bangun tidur, I suddenly saw the sign 'Gua Musang' and panicked. I pat Tita's hand so many times to wake her up and realized oh it was still a long way to go because we were still at Lipis. I was also a bit worried coz the lady was still sleeping... But few minutes later I saw her head and yeah we were almost there! Text messaged Man. Oh you know these MYCAT people, they are really smart. Because most of the time the phone line wasn't too good, they have this one system where you include the time you send the message. For example, "Hi, Man. Will be arriving in an hour (12.30 pm)"
Well, so this picture was taken at the wall of 'Restoran Nge Teh'. Too bad it was closed on Friday. We never get to eat here in the end coz during the first night it was closed and on the second/ last night we went to Gua Musang. Seriously, when I first read in the email that a guy named Man will be our trip leader, I didn't expect 'the' Man. Manja Bidin. Because for me he is such a senior MYCAT staff that it really couldn't be him that will be handling us volunteers. But I quite guessed it by the way he replied my sms. He addressed me as 'Bash'. So I know it IS the Man that I know. Yeay! Yeay! because it has been quite some time since I last met him. I always get excited meeting these MYCAT people because they are so kind and cool and passionate about their job. Man, May, Kak Ummi... Just to name a few. I gave him a call once I arrived but he didn't answer. Then only I realized. It's FRIDAY! He went to the mosque for Friday prayers. 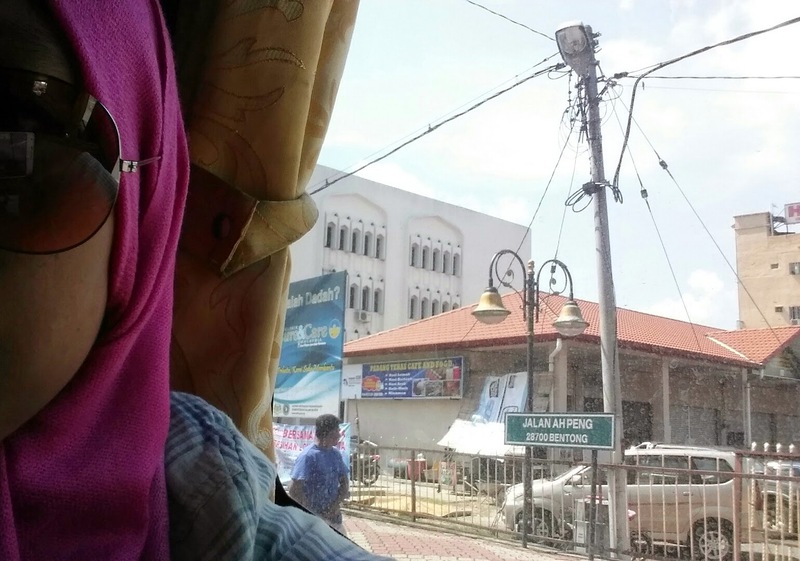 Duh... That was exactly why in the sms he told me he is at the mosque..
And so I took another selfie.